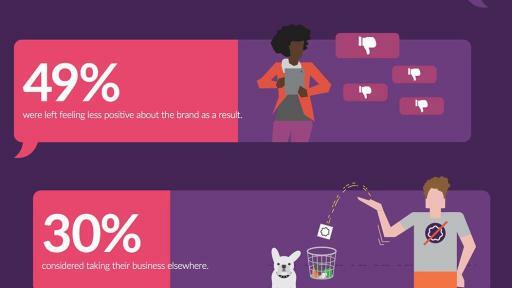 Customers are more comfortable than ever using digital channels to resolve customer service issues. Lithium Messaging allows for 1:1 asynchronous messaging across social, web and mobile, empowering brands to deliver great digital customer service in their customers’ preferred channel. With Secure Verification, brands can authenticate the identity of consumers who engage with them, enabling collection of customer information in a secure and brand-owned environment. Lithium platform gives brands one standard interface to engage with customers across all digital touchpoints, with common workflows and access to unified customer profiles. SAN FRANCISCO, April 11, 2018 — Lithium Technologies, the leading platform for enabling brands to support, serve and engage customers across digital channels, today announced the launch of Lithium Messaging. For brands who use the Lithium platform, they can now centrally manage digital customer service across social channels, online communities and – with the launch of Messaging – web chat and mobile apps. For consumers, they get fast and secure customer service in their channel of choice. New research1 shows 58 percent of consumers have been forced to move to a different channel when making a customer service request. Forty-nine percent were left feeling less positive about the brand as a result, with 30 percent considering taking their business elsewhere. The message for brands is simple and clear – they must resolve customer issues in-channel with minimal effort, or risk losing them. Ushering in the next generation of digital customer service, Lithium Messaging offers a personal experience that customers are used to when interacting with friends and family. Delivering a direct channel from the customer to the brand, conversations are secure and threaded, ending the inconvenience and needless repetition of information that customers are often required to provide. Leveraging the same workflows as Lithium’s market-leading Community and Social Media Management products, Lithium Messaging processes a brand’s digital conversations across web chat and mobile apps – tagging, prioritizing and routing customer queries to the right agents for fast and accurate responses. Whether a customer reaches out to a brand on Facebook Messenger, SMS, their community, or their mobile app, Lithium processes that interaction for fast resolution, and offers the brand unified analytics to track success. In addition, Lithium’s Secure Verification capability allows brands to authenticate Messaging customers before requesting any private information to keep that interaction secure – often a requirement in many industries that need to securely resolve customer issues. And this is all handled without the inconvenience of diverting to a different channel. 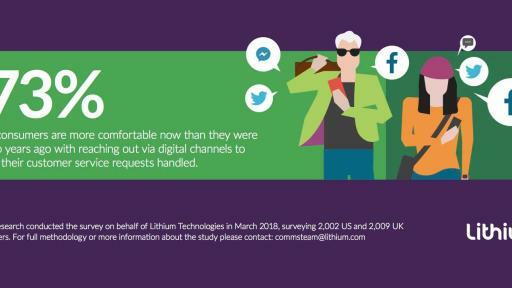 Lithium will support all of the major platforms that consumers are turning to for their one-to-one conversations with brands, including Twitter, Facebook Messenger, SMS, WeChat, Communities, web and mobile apps. Additional integrations with major platforms will be introduced throughout 2018. The Lithium engagement platform comprises Online Community, Social Media Management and Messaging products for social customer service, social support and social media marketing teams to listen, respond and act on customer conversations – creating deep relationships and fostering brand loyalty and advocacy. With over 15 years of expertise, Lithium has a massive digital footprint with approximately 480 million new digital interactions analyzed daily, 100 million monthly visitors across its Online Communities, and 850 million online profiles scored through Klout data. The best Fortune 1000 companies in the world trust Lithium to help them build closer, more personalized and trusted relationships with their customers. (1) Sapio Research, “The Evolution of Customer Service.” Survey of 4,000 consumers across US and UK, conducted in March 2018. (2) Harris Poll/Lithium, “Value of a Happy Customer.” Survey of 4,000 consumers across US and UK, conducted in December 2016.